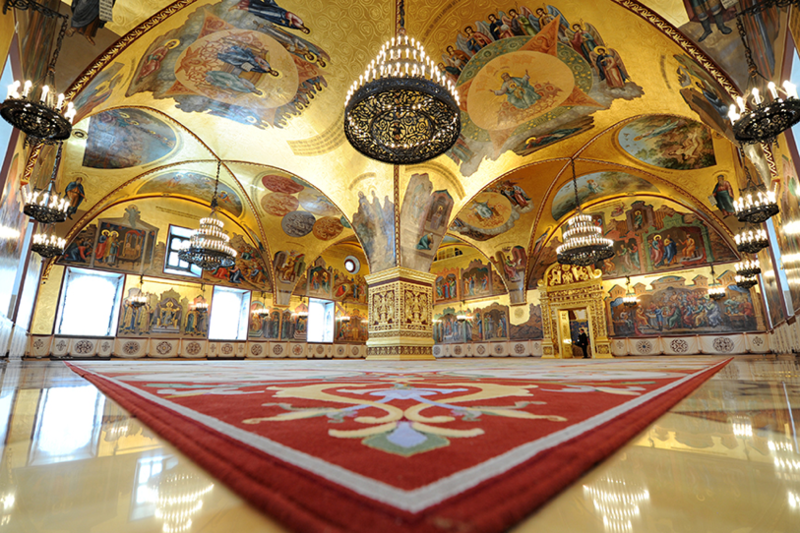 The village of Palekh gained worldwide recognition for its 400-year history of icon painting. 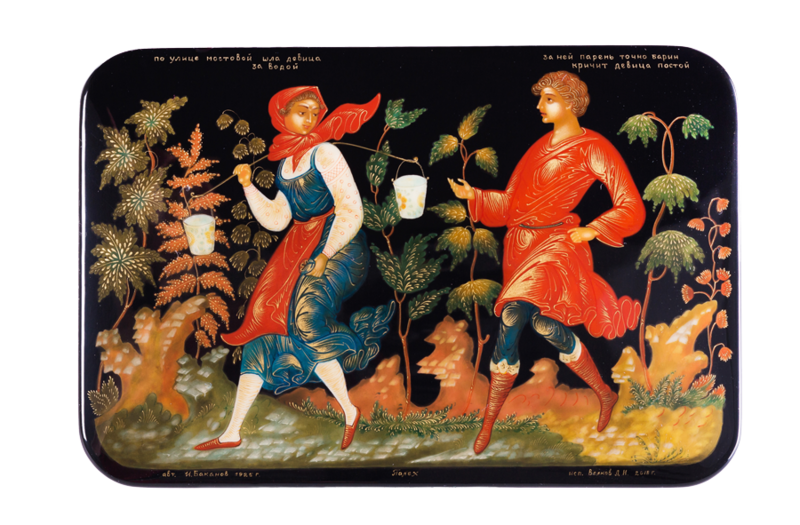 Local dynasties of icon painters became prominent as skillful artists all over Russia in early XVII century. At the time, the workshops of local families of Safonovs, Belousovs, Karavaikovs and Parilovs earned prestigious status of "The Supplier of the Imperial Court", while their icons were famous for delicate and elegant painting. In 1882, the Belousov brothers successfully fulfilled the royal commission for mural in the Palace of the Facets of the Moscow Kremlin. As a recognition for this exquisite work, Alexander II, Russian Emperor, rewarded the Belousov brothers with great royal rewards. 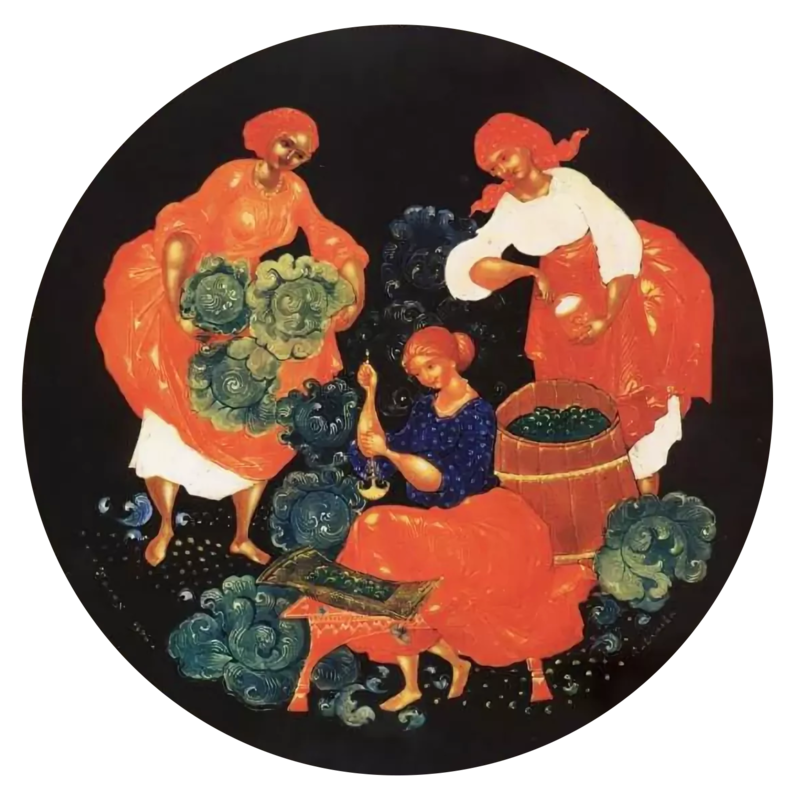 Palekh lacquer miniature of the beginning of the XXth century inherited the best traditions of the elder generations' spiritual art. Soon after the Bolshevik Revolution of 1917, icon painting fell under a ban in Russia, nevertheless, gold-bearing craftsmanship has been carefully preserved. 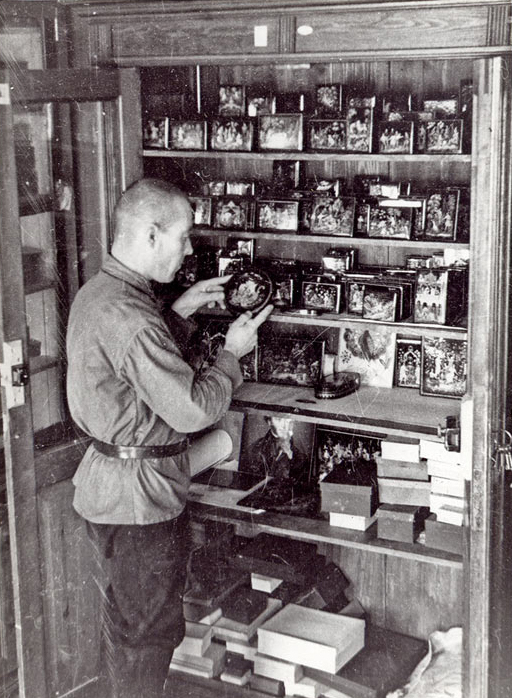 In 1924, the group of hereditary Palekh icon painters established an artel to produce lacquer boxes made of papier-mache. 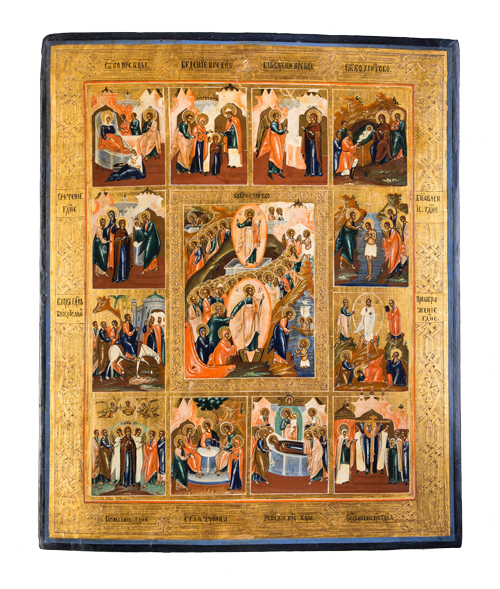 The creation of sophisticated masterpieces based on creative development of the Russian icon-painting school became the main aspiration of Palekh artists. With great tact, they applied the wealth of artistic techniques to fairytale, historical and song themes. Painstaking effort and unusual angle on ancient icon painting school expressed in the filigree painting of lacquer boxes paid off well. Soon after the artel had been established, the artworks of Palekh masters were honored the right to represent Soviet art at the major international exhibitions in Venice, Paris, Milano, and in New York. In 1924, yet during the first year of its existence, artel celebrated a triumphal victory at the international art exhibition in Venice. Next year, it received the Grand Prix at the Industrial Exhibition in Paris. International glory strengthened the reputation of already experienced masters so much that the leading artists of the artel received an invitation to establish a school of lacquer miniature in Italy. However, the artists decided to stay in Russia, organized own manufacture, founded an art school and organized storage for copyright artworks that few years later has become The Palekh State Art Museum. During last century, the Palekh art received widespread recognition both abroad and in the home country. It occupied a well-deserved place next to other prominent pieces of world decorative arts. The Palekh boxes have become desired items among both professional collectors and those who appreciate the beauty of art. In the middle of XIXth century, Palekh was called "The Village-Academy", which emphasized the high cultural level of local icon-painters. Nowadays, more than 800 artists work in this small village which population is less than five thousand people. First official reference of Palekh. In his last will Russian Tsar Ivan the Terrible orders to grant the village to his son. The first Tsar of the Romanov Dynasty, Mikhail Fedorovich, grants Palekh to the ancient noble family of Buturlin for their participation in the liberation of Moscow from the Poles. By XVII century, Palekh becomes prosperous town, while local peasants receive high recognition and glory of skillful icon painters. In 1723, two peasant-painters ask permission to trade their icons in Saint Petersburg, the young capital of the Russian Empire built by the first Russian Emperor Peter the Great. Commissioning of the Holy Cross Temple, which becomes possible due to financial support and contributions of parishioners during twelve years. Painted and lavishly decorated by local masters. Since XVIII century Palekh remains the icon-painting center based on traditions of Russian painting school of XV-XVII centuries. Lev Sofonov opens the first icon-painting workshop, which soon gains notable customers, among whom members of the imperial family, well-to-do merchants and clergy. By the end of the XIX century, there are ten major workshops in Palekh. 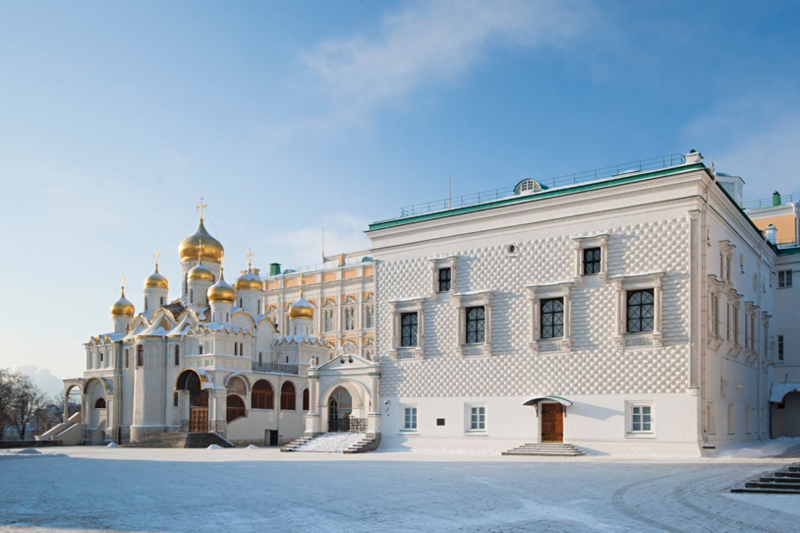 The Belousov brothers successfully complete the royal commission for mural in the Palace of the Facets of the Moscow Kremlin. Palekh masters decorate the Uspenskiy Cathedral in Vladimir, the Trinity-Sergius Lavra, the Ipatiev Cathedral in Kostroma, the Novodevichiy Monastery in Moscow, and the Annunciation Cathedral of the Moscow Kremlin. After the October revolution of 1917 iconography in Russia falls under prohibition, but the skill is carefully preserved. Hereditary iconographers I. Golikov, I. Bakanov, A. Zubkov, I. Zubkov, A. Kotuhin, V. Kotuhin and I. Markichev establish an Artel on December 4, 1924 to produce lacquer boxes made of papier-mache. Creation of high quality artistic works based on ancient icon-painting traditions becomes the main aspiration of the Palekh Artel. Masterpieces of Palekh artists are honored the right to represent Soviet art at the major international exhibitions in Venice, Paris, Milano, and in New York. During the first year of its existence, Artel celebrates a triumphal victory at the international art exhibition in Venice. 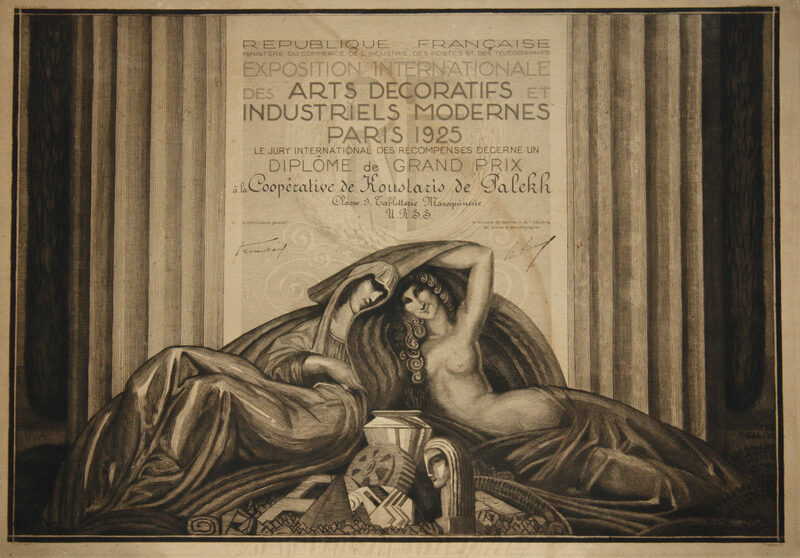 In 1925, it receives the Grand Prix at the Industrial Exhibition in Paris. 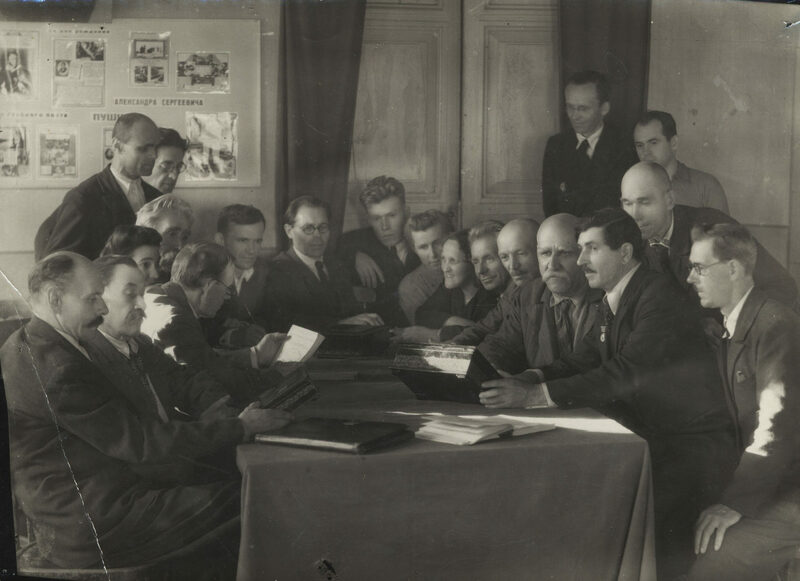 Maxim Gorky, the honorary member of the Palekh Artel, helps to establish State Museum of Palekh Art, and a year later – the Palekh Art School, which bears his name. Emergence of new generation of young talented masters of who give rise to resurgent interest in Palekh arts. Young artists turn to contemporary topics and space themes. Yuri Gagarin is depicted as national epic hero conquering cosmos. 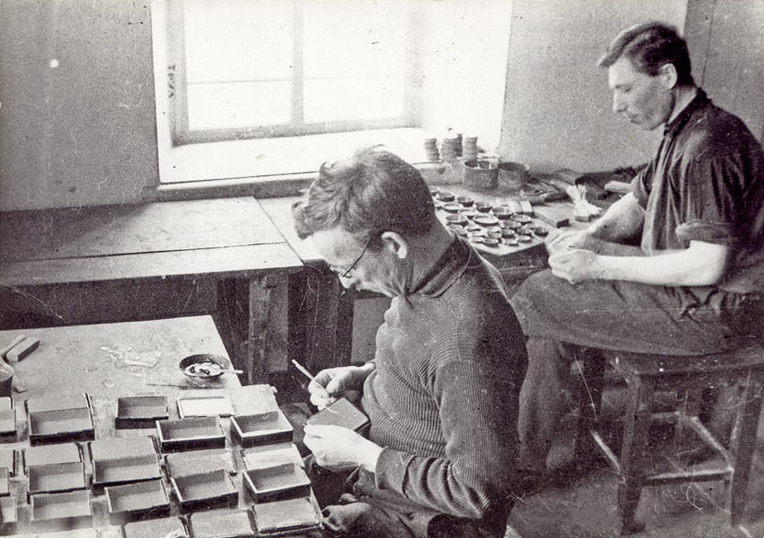 In the 70-80's, the Palekh miniature workshops become the most successful organization in the system of the Artists' Union of the USSR. More than 90% of lacquer miniature sell abroad. Palekh becomes a hallmark of the USSR. In addition to famous lacquered boxes and panels, artists engage in monumental projects for decorative design of palaces, schools, resorts, theaters, Russian embassies abroad.